John and I love the world around us and enjoy learning more about it as we work on our About and About Habitats series. We gather information about our subjects from many areas, including some that require travel to experience. When we started working on About Habitats: Polar Regions, we decided it would be fun to visit one. 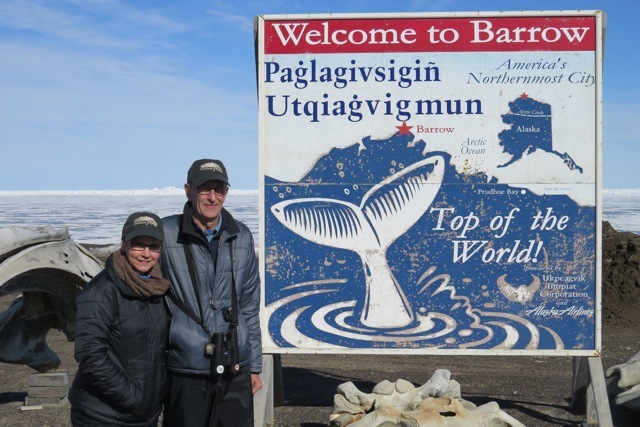 Since Antarctica is on the other side of the world and the cost would wreck havoc on our budget, we decided to visit the Arctic. We were there in the summer so the sun never set. Our sleep patterns were disrupted, but because of unlimited daylight we would look for birds and explore without the added pressure of getting finished by dark. 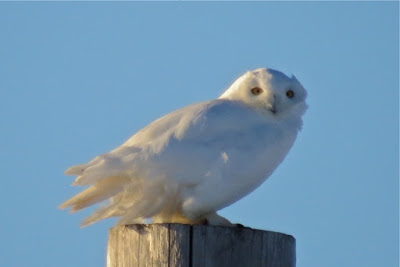 Watching Snowy Owls in the beautiful “butter light” at 2:00 am was an experience to remember. When we got tired enough to sleep, we would just close the blinds, turn off the lights, and pretend it was bedtime. A species of bird that we featured in About Habitats: Polar Regions was the Arctic Tern. We really enjoyed watching and photographing them. It was amazing to realize that in just a few weeks they would begin a long journey to Antarctica to spend the summer there. That doesn’t sound like a summer vacation! 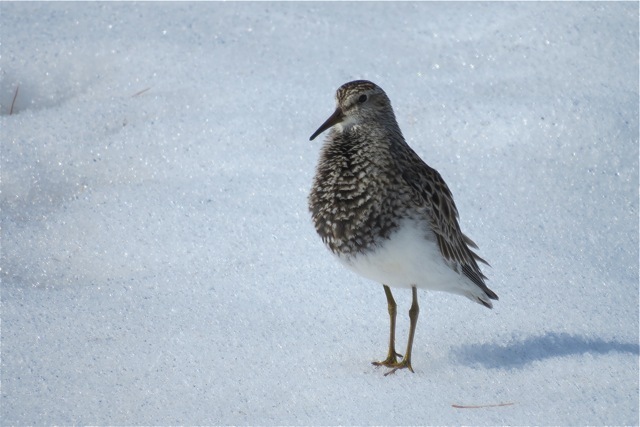 Many of the drab-looking shorebirds such as Pectoral Sandpipers that we see on the beach in winter were in the Arctic in the summer wearing their fancier breeding plumage. They were also performing “over to top” courtship rituals that were comical to us but obviously attractive to another bird. One of the nesting birds featured in the book was the American Golden Plover. Seeing this bird wandering around on the tundra was the inspiration for the illustration. One of our big wishes for this trip was to see Muskoxen. What a treat to look up on a hill and see a herd of them silhouetted. They thundered past us and we were concerned that we were disturbing them. When they stopped just beyond us and began feeding we realized they weren’t at all concerned about us. The natural world is so fascinating! Our desire is to instill in our readers an awe and appreciation of the many diverse aspects of this wonderful creation! 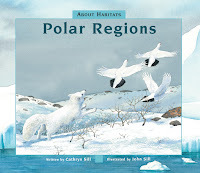 About Habitats: Polar Regions can be found at your local library, indie bookstore, or Barnes & Noble. 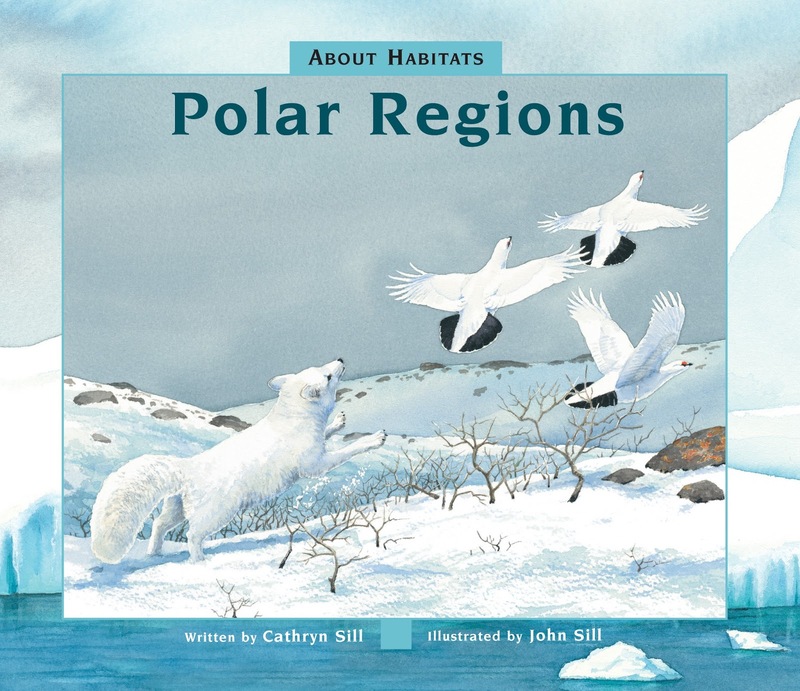 For the About Habitats series Teacher's Guide, click here.